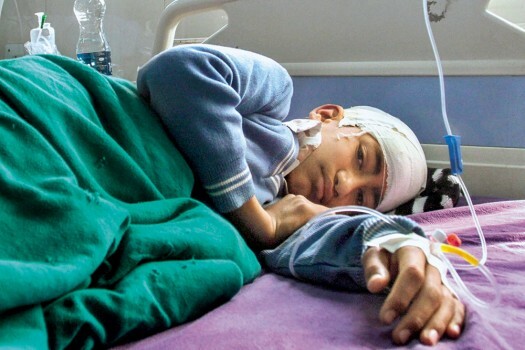 Seen after stone pelting on a "Ram Barat" at Math area in the old city of Bareilly. 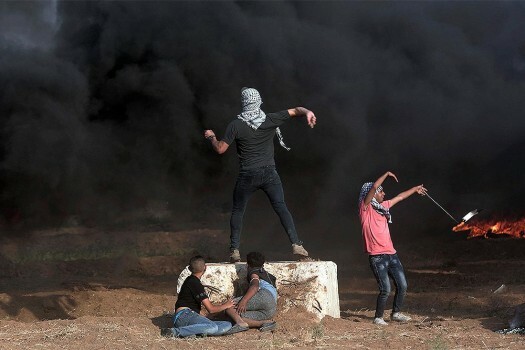 A Palestinian protester hurls stones at Israeli troops during a protest at the Gaza Strip's border with Israel. 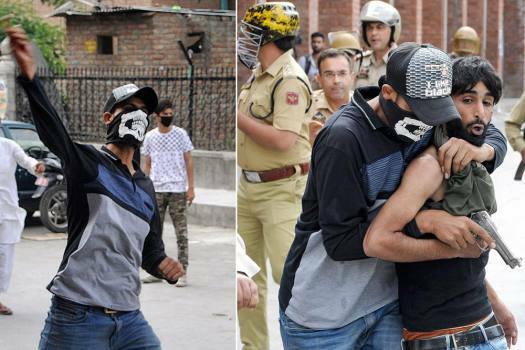 Protesters hurl stones at security personnel during a protest, in Srinagar. 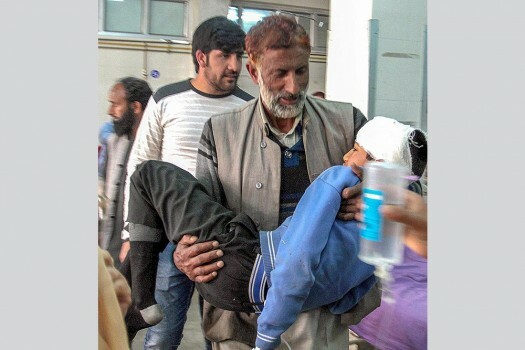 An injured student being taken for treatment after stone pelters attacked a school bus in Shopian district of South Kashmir. 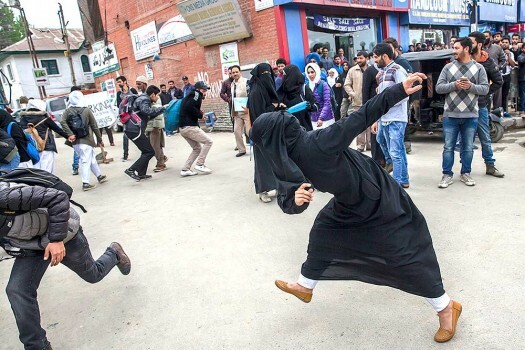 A burqa clad woman student, right, throws stone at police vehicle during a protest against the killing of civilians in Srinagar. 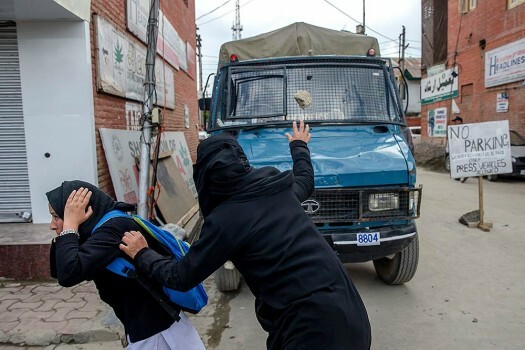 A burqa clad Kashmiri woman student, right, throws stone at an Indian police vehicle during a protest against the killing of civilians in Srinagar. 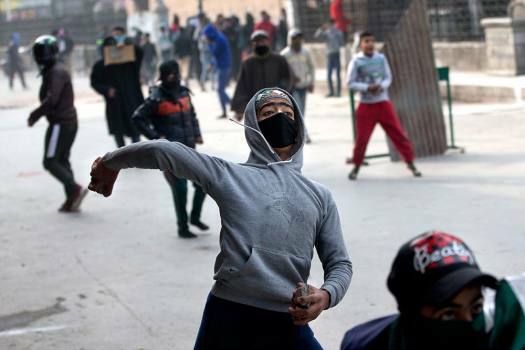 A paramilitary soldier throws rocks at protester on the outskirts of Srinagar. 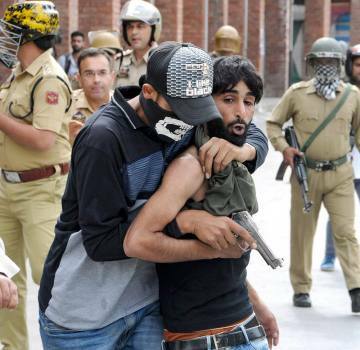 Policemen take cover beside an armoured vehicle during a protest on the outskirts of Srinagar. 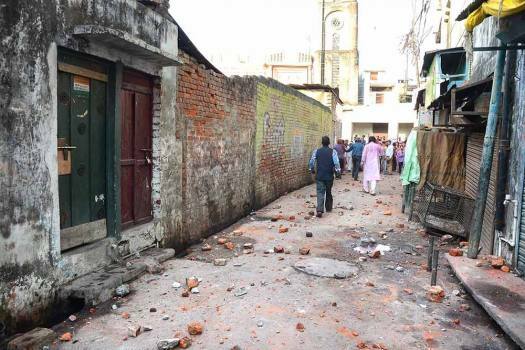 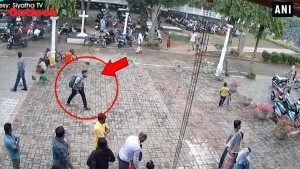 After the alleged murder of a five-year-old girl in Lucknow, locals from Gomti Nagar area on Sunday blocked a road and pelted stones on the police personnel. 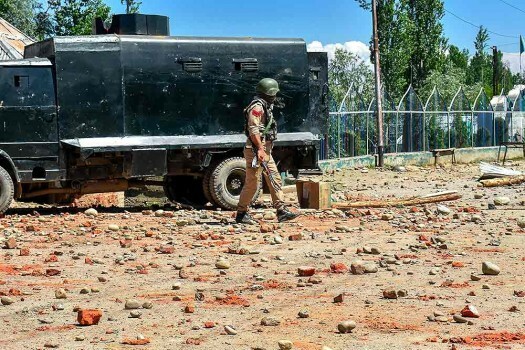 Union Minister Hansraj Ahir claimed that the violence in Jammu and Kashmir has been "sponsored and supported" from across the border and it has direct links to the infiltration. 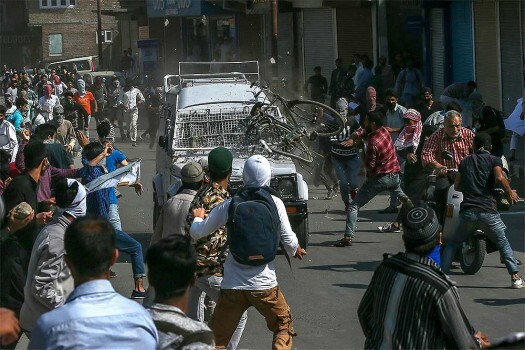 Stone pelters smashed the windshield of the OB-van even as the vehicle was identifiable with a large dish antenna fitted atop its roof and 'Press' placard posted on the front. 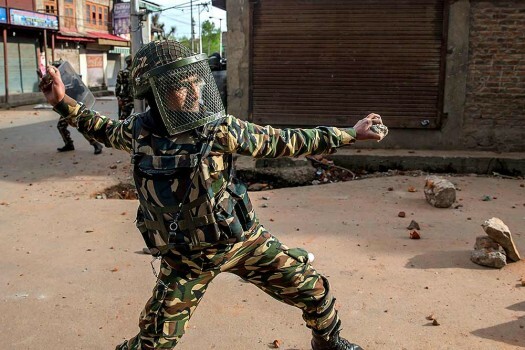 General Bipin Rawat termed stone pelters as overground workers (OGWs) of terrorists and said that strict action will be taken against them. 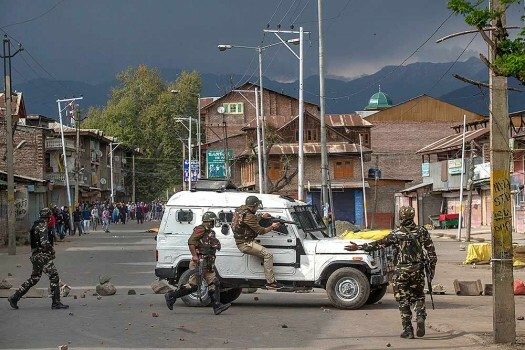 In the first of the four-phase elections, eight districts of the Kashmir division, including Leh and Kargil, will vote Monday to elect representatives to 15 municipal councils and committees, including three wards of the Srinagar Municipal Corporation. 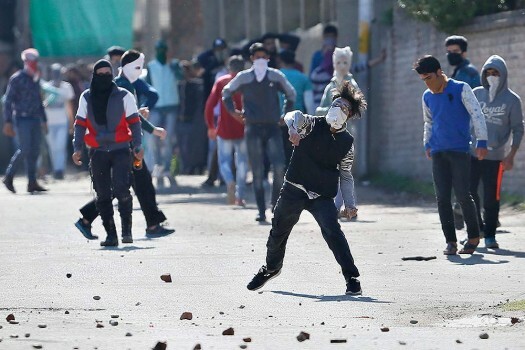 The police said they have taken four persons into custody who were involved in stone pelting incident after Friday prayers in Nowhatta area of Srinagar. 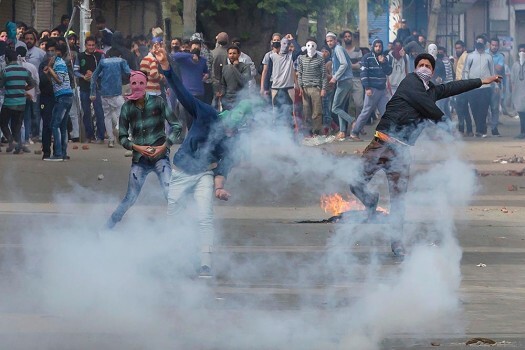 The civilians were killed allegedly in firing by the forces during clashes with stone-pelting protesters in Kulgam on Saturday. 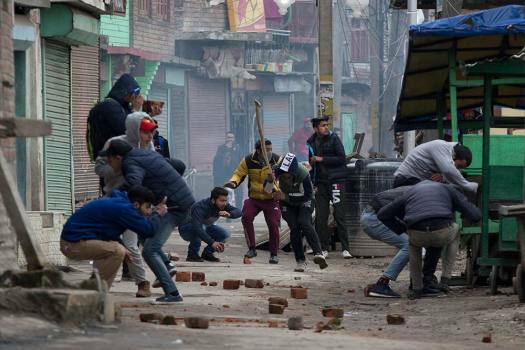 A new J&K law makes damage to property during protests punishable. Many find it draconian. 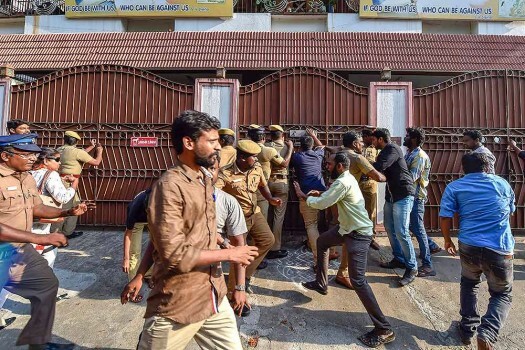 To the PDP, the ex-IB chief’s appointment as interlocutor is a chance to reconnect with the people. 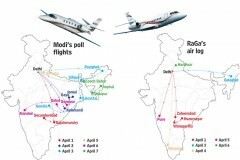 But the mainstream opposition and the separatists are not enthused.